I just played through the story mode and never touched online because I knew this would happen lol. Replace SSBU with any game with Multiplayer. Still accurate. Ultimate has a story mode? I thought it just had “classic” mode for single player. I’ve played one online match and won. I’m never going back. Quit while you’re ahead. 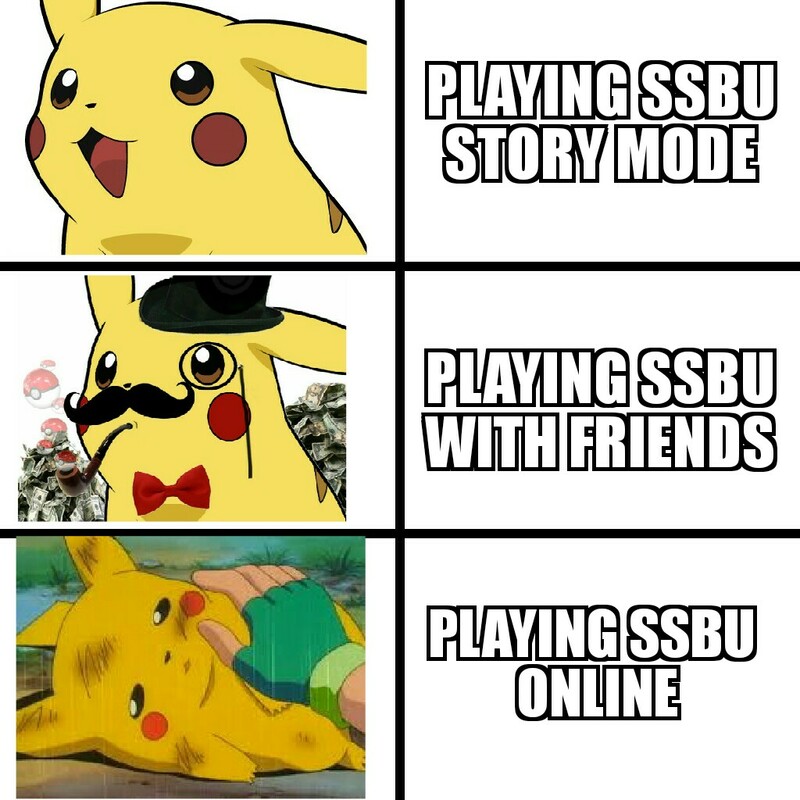 SSBU Has a story mode? You mean World of Light? Weird because I have 100% completion on it and I dont remember an ounce of story. I bought this game and invited a friend over to play it. Now, I haven’t played a Smash Bros game in a long time, so I probably shouldn’t have chosen to have 8 characters on screen at the same time as the first round. I also shouldn’t have kept doing that for several rounds after that as well. Neither of us could keep track of where we were, and we died more than a few times walking off ledges blindly. I wish the online smash wasn’t so laggy though.